Click on the video below to see self portraits of Class DB plus designs for their ideal homes. The second round of house matches proved to be much tighter than last week. After a convincing win over Bulstrode Mills found that Howard were tough opponents. Howard (in yellow) won an exciting game by 4 goals to 3. In the other match Hitcham continued their strong form from last week. Bulstrode kept the score close in the first half but Hitcham ran out winners by 6 goals to 3. Going into the 3rd set of matches this week Hitcham are in the lead with 2 wins. Howard and Mills have 1 win each and Bulstrode no wins. From now onwards, the whole school will belong to a single Book Club (Scholastic), rather than having two different clubs run by the separate Key Stages. The school will continue to benefit from the 20% commission which the company offers. Parents of Key Stage 2 should note that the system for placing orders will be different from the system previously used. Orders should be clearly written on the form provided and must then be returned to Miss Simpson in the school office. Payment by cash will no longer be accepted. Instead, all orders should be accompanied by either a cheque (made payable to ‘Scholastic Ltd’) or a completed slip giving credit/debit card details (as found on the back page of the book club leaflet). We suggest the order form and payment are placed in an envelope. The school office will be sending these cheques or card details directly to the company who will be handling our order. This is the method which has been used by Key Stage 1 parents for quite a while. The deadline for returning orders for this current leaflet is Monday 5 October. Alternatively, parents may now go to www.clubs.scholastic.co.uk/shop and add to our School Group (Framlingham-Sir-Robert-Hitchams) order online. Home delivery should be possible using this method, and the school will still benefit from the 20% commission. Some parents have been paying for school dinners casually at the Office by cash. Please can we ask that payment is made in an envelope on a Monday. Please CLEARLY mark it with the child’s name, class AND the days you are paying for lunch. The envelope can then be given to the class teacher. If you do not have the correct money, change will be returned via your child. Thank you. Parents are permitted to sign their Year 6 child out of school during the day of 21 October to take them to look around the High School. Please ensure that you sign them back in when they return. Just to remind you that we are registered with this campaign. Parents can collect tokens until December 6. Please bring them to the school office where we can collate them towards free books for the school. Thank you. We have 2 large computer trolleys that are no longer required. If you are interested in having one (for a small donation) please ask at the school office. Just a reminder that on Monday (28 September) at 6pm we have a pupil music concert in the school hall - all parents are welcoome to come along. In the interval the children will get some drinks and snacks and get to watch a short movie while the parents can enjoy a glass of wine at the Friends AGM. You can hear about the fundraising events we have done over the last year and learn how the money raised has been spent for the benefit of the pupils at the school. There are a number of Friends 'retiring' this year and we would love to welcome any new members who can join at this meeting. Please do come along to support the evening. Thank you. This year the school Christmas Lunch will be on Tuesday 15 December. Christmas Lunch is a fun and sociable event and children are invited to join in even if they do not normally have a school meal. As on normal days a vegetarian alternative will be available. We would like those who do NOT want a Christmas Lunch to return the reply slip to us as soon as possible, but by Friday 9 October at the latest to enable the catering team to make an accurate order. Children choosing to bring a packed lunch will eat in the hall with everyone else as usual. We would ask all children who will be having Christmas lunch to bring the money in on the Monday of Christmas Lunch week. The cost of Christmas Lunch will be £2.80. If your child is entitled to free school meals, there is no charge. We do not require payment until Monday 14 December. The Horse Chestnut tree on the front playground has just started to drop its conkers on to the ground. The children in Class DB are going to germinate (grow) some of them in pots as part of their Autumn Watch topic - Life Cycle of Plants. The first set of house matches were played in glorious weather after school on Friday. There were lots of parents and friends watching on as Mills beat Bulstrode by 8 goals to 3. The other match was much closer with Howard and Hitcham heading for a draw until 2 goals in the last few minutes saw Hitcham win 4 - 2. Thanks to Harry Dyer's grandad for taking the action shots. Next week Mills will play Howard and Hitcham will play Bulstrode. The new set of goals arrived today so we will be fully equiped on both pitches this week. Due to the success of the previous family lunches, we would like to invite grandmothers to come and experience a school lunch with their grandchild on Wednesday 7 and Thursday 8 October. The costs of school lunches are £2.76 for an adult and £1.90 for a child. Our cooks always strive to make all the food appetizing and at the same time to produce a healthy meal. To achieve this, they oven bake food whenever possible, make their own bread and rolls, and use fresh vegetables in season. Fresh salads are on the menu every day! They also use the humble potato, not instant mash, and there are at least two vegetable options on every day. Fried and pre-processed foods are kept to a minimum and chips are only on the menu once a week. I eat in the hall every day with children as do many of the staff and I can recommend the meals as appealing, balanced and healthy. I know that Mrs Chapman, our cook, makes great efforts to cook new and imaginative dishes but on occasions it is hard work to encourage some children to try new food! On the reverse of this letter is a menu and we would ask that if you wish to take up this offer you fill in the reply slip and return it to the office with the money FOR THE ADULT MEALS ONLY. Please return your form to the office by Monday 30 September AT THE LATEST. Last year we had some families apply for places after the deadline but sadly we are NOT able to accept any late requests as the ingredients have to be ordered in advance. Children should bring in their money as usual on Monday 5 October for lunch arrangements for that week. We feel the best way to accommodate the extra adults is to have all children with visitors to eat at 12.05pm. We would ask adults to sign in outside the hall and wait in this area for their grandchild to collect them and take them into lunch. Could we remind you that unfortunately you will not be able to park in the school car park due to lack of space. We would ask that adults do not stay after you have eaten lunch. At this time the children will go to their playground for play and we ask that you leave but please do not forget to sign out. We would also welcome any feedback on the forms outside the hall. Bon appetit! Robert Hitcham's is working towards achieving a SINGING SCHOOL AWARD. Aswell as a school choir there is a singing club and as you know there is lots of singing going on in this school. 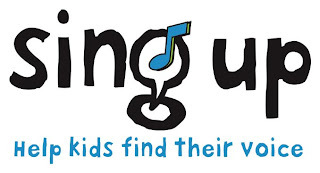 There is a great new website called 'Sing Up' - click on the picture to go to the site. You will find a huge bank of resources of the site such as song lyrics, audio and video clips. There is an AWARDS section. During the Summer we purchased a set of Notebooks (mini laptops) called FIZZBOOKS. They have already been used in Maths lessons, topic work, computer club and for drawing in Class LC. Children of all ages think they are COOL. The best function is their touch screen. You can spin round the screen and flatten it. The software will automatically rotate itself and you can then use a stylus (pen) to operate the Fizzbook. We have a state of the art wireless system in school now. This enables all 15 of the Fizzbooks to use the internet at the same time with no loss of speed. 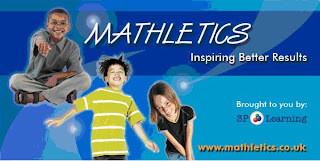 In maths and computer club the children have starting using a website called 'MATHLETICS'. They can do all sorts of interactive maths activities and even compete with other children from their class or around the world. Click on the picture to go to the site. The website gives the children points for their performance and various league tables. Today we have a child in year 6 at number 21 and as a class we are at number 15 in the UK. Our upper Key Stage 2 classes are doing some topic work this ha lf term called Autumn Watch. 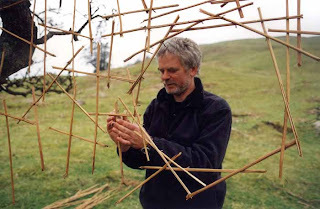 Much of our art work within this topic is inspired by a living British artist called Andy Goldsworthy. 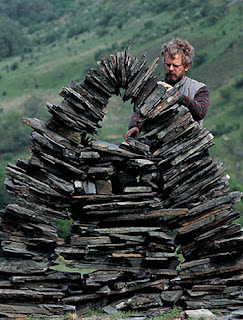 Follow this link to a website about him and his work. 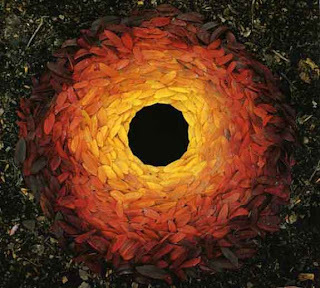 Classes DB and NS/JB have been creating Autumnal Environmental Sculptures. Class RV have made totem poles out of recycled materials. See photos below. You can click on each picture to see the full size version. It has been lovely to see all our pupils return to school after the summer break full of stories about their holiday and eager to share them with us all. I can report that our new pupils seem to be settling in well. Please can we ask parents to keep the playground exit between the two Reception fences clear at the end of the day. It becomes so congested that pupils exiting the door have trouble getting through to find their parents, and some have been getting distressed. Thank you for your help in this matter. Sadly our crossing patrol lady, Mrs Bone, is leaving on Friday 2 October. She has been with us for 9 years and we will be sorry to see her leave. If any parent wishes to contribute to a collection for a leaving gift, please do so at the school office. Thank you. Please may we remind parents that children can put their bags and coats on their pegs from 8.30am in the morning and then go out to the supervised front playground. Children should not arrive in school before 8.30am. The bell goes at 8.45am for the children to make their way to class for registration. A production of ‘The Wizard of Oz’ is to take place during the afternoon of Thursday 24 September. The cost of this production is £330 therefore we would ask for a voluntary donation of £1.00 per child. According to the Governors’ Policy of Charges and Remissions for School Activities parents who are in receipt of: (a) Income Support; (b) Income Based Job Seekers Allowance; (c) Child Tax Credit and do not receive Working Tax Credit and who have an annual taxable income of less than £15,575; (d) Support under Part VI of the Immigration and Asylum Act 1999; or (e) a guaranteed element of State Pension Credit do not need to pay for this event. Nor will they be expected to make a voluntary contribution of money unless they wish to do so. Teachers will deal with the collection of money in the same sensitive way that operates for those children who receive free school meals. Please complete the form below and return it to the class teacher by Monday 21September. Thank you to all the volunteer helpers who have already registered with us this year. Some classes have had no parent volunteers yet, so we have a number of sessions where help is required. Below are the days/times where your help would be appreciated. Volunteer help is a very important part of school life and if you feel able to help at any time, not just with any of the sessions below, we would be very pleased to hear from you. To help in school you do need to complete a Volunteer Declaration form so we can apply for a ‘List 99 Check’. If you have not previously completed one, or wish to check if your name is already on the list, please contact the school office. If you have not seen ‘A Guide for Adults Helping in School’ they are available from the school office. If you are able to cover one of the sessions overleaf please speak to the class teacher. CLASS YEAR NAME DAY TIME . As part of our topic 'Autumn Watch' we have been doing some environmental art outside with Mrs Berry. Because this type of art does not last long we got to use digital cameras to record our work. You may have wondered why there is a crane on the schol playground. Well much of the school has been painted inside and out over the last few weeks. The crane is needed in order to reach the top floor windows, guttering etc. The school hall will be the venue for an evening of music by the pupils on Monday 28 September, from 6 - 8pm. The Friends will be holding their AGM in the interval for 30 minutes, with a complimentary drink. Miss Hitchcock will be auditioning KS2 pupils who wish to take part on 23 September in the afternoon. Class teachers will advise pupils of details nearer the time. One of our Year 2 children, is extremely sensitive and allergic to NUTS. EVEN IF HE IS TOUCHED BY SOMEONE WHO HAS HANDLED NUTS OR PRODUCTS CONTAINING TRACES OF NUTS it could bring on anaphylactic shock which can be life threatening. Similarly if you bring snacks to the playground at the end of the day for children to eat before going home please can I ask that you are VERY CAREFUL that they do not contain nuts or traces of nuts and that leftovers are not abandoned on the playground. Celebration Assemblies are on Fridays at 2.30pm. Parents are invited to watch their child’s class and we would ask that you take your seats by 2.25pm. We endeavour to bring the children in as quietly as possible and we would appreciate the parents joining us in this. Could we ask that parents with younger siblings sit in the hall where they are able to make a discreet ‘quick exit’ should it be necessary, as the disruption of a noisy toddler is difficult for the children to cope with. Friday 20 November - Children in Need – bring a teddy and a donation. We need to inform parents that we have a pupil who has a lowered immune system and is therefore is highly susceptible to contagious diseases. Please can we ask parents to immediately contact the school if their child (or immediate family) has contracted any known contagious disease. We thank you for your consideration in this matter. Please find attached another copy of the letter sent last term. Staff will remain vigilant in looking for symptoms and will respond promptly. Any child or adult showing flu-like symptoms will be sent home as soon as possible. Please can we ask parents to encourage their child in good hand hygiene as we will be doing at school. Thank you. As many of you will have seen we have installed a fantastic large playground shelter. This evolved from the travel plan questionnaire where many parents asked for some form of shelter on wet rainy days to protect them and younger siblings whilst waiting to collect after school. The Travel Plan grant has contributed to 50% of the cost of this shelter and the school has funded the balance. The shelter will also be used as an outdoor classroom. All children in the school require painting aprons, from Nursery up to Year 6. An old large shirt is ideal but please do make sure the sleeves are not too long. May I take this opportunity to remind you that ALL uniform, especially sweatshirts, painting aprons, plimsolls etc need to be named – Thank you. Many parents now receive their school letters by email; if you would like to register please do email us saying so on admin@hitchams.suffolk.sch.uk. We are endeavouring not to produce a ‘hard’ copy to those households that receive letters by email, so please ensure your child is aware they do not need to receive a paper copy. Those who are already registered do not need to re-register. The ‘Go with the Flow’ Youth Bus Project is looking for applicants to staff the Youth Bus that visits towns and villages in the Saxmundham Area between 6.30-9.30pm Weds-Sun. If you are interested contact the Saxmundham Resource Centre on 01728 602689, closing date is Monday 7 September. Keys have been found in school labelled ‘Cleaning Cupboard’; they are at the office if they belong to anyone.